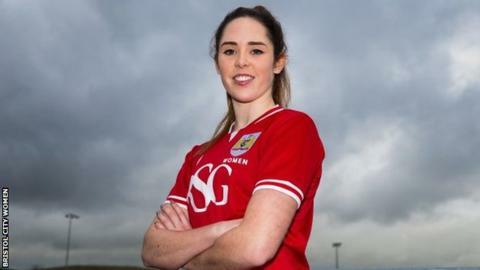 Bristol City Women have completed the signing of 18-year-old defender Ellie Wilson. England Under-19 defender Wilson joins the Vixens from Reading Women FC, where she progressed through the academy. "Her progress in the last six months has been fantastic," said Bristol City manager Willie Kirk. "I've watched her performances with England U19s very closely and I know that the national staff think very highly of her." Wilson made her Reading debut in 2014 against Oxford.